Reading "Wolf Hall" it brought Tudor England into the present. Impossible of course, for the difference between then and now as so great as to not even work as a distended metaphor. But it tells us other things about ourselves. It is the birth of Protestant England; the birth of a process of independence from Rome and Papal rule, which allowed the growth of the English language; it also was an age of superstition, torture and state sanctioned murder - not so different than the world today if you know where to look. I've always considered myself a contemporary writer - so that when people ask me I tell them I write about the world we live in. And its true, I do, and will continue to do so. But looking at what I'm currently working on I realise there is a difference between being set in the contemporary world, and being about the contemporary world explicitly. Increasingly my concerns and interests are not about today, but have a wider scope - even if for reasons of expediency and style the majority of my fiction is set in the day either before or after today. History becomes interesting not as setting, but for reasons of understanding. None of us rocked up in this world from nowhere. Create a character and he or she will have a history, a back story. There seems in an old country like Britain, a difficulty here - hence the continued obsession with class in the English novel - since change is difficult, it does not happen lightly to an individual. The fictional "life story" of rags to riches you might find in "Earthly Powers" or Jim Crace's "Arcadia" can hardly happen in contemporary Britain without a "windfall" of some sort. I've talked before about a certain kind of neurotic realism in contemporary British fiction where character/heroes are essentially static - the world happening to and at them, like in Nicola Barker's "Clear" or Tom McCarthy's "Remainder." We are adrift in a world where its hard to make our way, but harder still to be defined by our family and upbringing. In the TV sitcom the world of "family" has so often been replaced by that of "friends" (or "Friends") for we are uncomfortable with our historical place. Only late in their careers have - in "The Pregnant Widow", "Sense of an Ending" and "Sweet Tooth" - have our leading novelists gone back to what is now history - the sixties and seventies. This lack of perspective is what creates difficulties for the young novelist trying to say something about their contemporary world - even about themselves - whilst at the same time not been pulled back into a BBC costume drama type of past. We don't seem to be in a world where the flux you find in F. Scott Fitzgerald or Hemingway for instance - men who had (like their characters) gone to make their way in the world - is even possible. Yet writing about the present has its own foibles. The first person present tense of so many contemporary novels on the one hand; or the creative imagineering of impressive feats of historical ventriloquism on the other; yet I think - and this is me writing in my forties - that when I want to write about the "contemporary" I now think of something different than I did even ten years ago. Now, I'm beginning to see that its possible to assemble my characters' lives from a meaningful history that in itself is now withered enough to allow change. I've suspected that a few writerly choices as to when things are set are to do with the fast changing technological times we live in. The simple thriller can't be as simple in a world of sat-navs, GPS, mobile phones and internet; similarly setting a book in the mid-90s safely puts us in a less technologically frantic age. We'll get used to it of course - I don't think one made too much notice of whether it was telegraphs or telephones, or motor cars or horse drawn carriages in "The Good Soldier" for instance. The contemporary therefore becomes a useful setting, without being what the novel is necessarily about - yet I don't think I'm that concerned with the historical past so much as the social one. How my grandfather differed from my father differs from me seems an interesting story - more so than setting something in the 1930s or 1950s or 1970s. There are other writers who are more comfortable there. Similar to my writing of poetry, that is not so much about myself, but has come from myself in some way shape or form. I think I'm going back to an argument I've made here before - negating David Shield's "Reality Hunger" - that I'm much more interested in making things up. The world gives us plenty of setting to do this in; but even in a long piece, its surprising how soon your characters begin to crowd out everything else, wanting the room to tell their stories - and that aim you had to reflect on, say, the Nixon administration, or punk rock, or Greenham Common, gets reduced to mere colour. Like in life, so in novels, so much of history is off stage. It's why I preferred "Wolf Hall" - with Cromwell on the rise, to "Bring Up the Bodies." The latter is too dependent on the court of Henry VIII, of which we both know too much, and paradoxically will always know too little. A Richard Yates novel - or "Gilead" by Marilynne Robinson which I'm currently reading - can tell us more about the times I think, through its concentration on a microcosm of those times. Its taken a while, but as we enter into 2015, the first "best of the century" list has been produced (or at least the first I've been aware of.) The BBC's international culture site asked a number of American critics what the best noels of the century so far were. Its an intrigueing, if somewhat populist list - populist in that most of these novels had won prizes. I was surprised that Zadie Smith's engaging, but adolescent debut "White Teeth", is still being gushed about, even if it's probably - just about - her best novel (though not her best writing: some of that's in "NW" and her recent "Emperor of Cambodia"). Its a very Anglo-centric list - I guess translated novels take a while to come through - though the late Robert Bolano is included for his "2666." I've read only 8 of the top 20 (or is that quite a good showing?) so can't comment on alot of them. I was surprised to see "The Road" so low, as for a moment it seemed to be the exemplar novel of our times. Secondly, British readers will not be that aware of a couple of books on the list. Edward P. Jones "The Known World" and Ben Fountain's "Billy Lynn's Long Halftime Walk" are both new names to me. Similarly if this was talking to a wider pool of reviewers I kind of think that writers like David Mitchell, Kate Atkinson and David Peace might have made the list - never mind outliers like Tom McCarthy or A.L. Kennedy. Thirdly, there does seem a little bit of inertia in the choices. Franzen's "The Corrections", McEwan's "Atonement", even the Junot Diaz, strike me as books we may well like now but tire of, or not return to. Time might tell. 4 - The Book of Dave - Will Self. The Junot Diaz novel began life as a long short story which was then expanded. "NW" and "A Visit from the Goon Squad" could both be seen as collected shorts in some ways. Maybe the renaissance in the short story is as much about revitalising what can be done with the novel as anything else? Also, looking back to see when things were published I had to dump "The Savage Detectives", "Atomised", "Enduring Love", "Wide Open", "American Pastoral", "How I Came to Marry a Communist", "Disgrace" and "The Poisonwood Bible" because they were all published in the nineties. I haven't the time now but maybe its time to sit down and write an essay about the stunning fiction of the last decade of the 20th century? 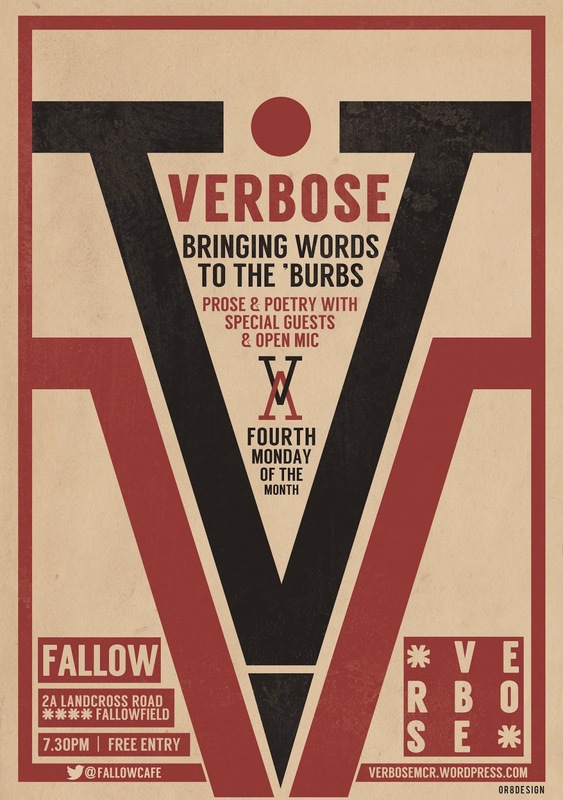 This Monday, 26th January, recover from your haggis with a night of live literature - the Wee Timorous Beasties performing will be David Gaffney, Elizabeth Baines, host Sarah-Clare Conlon, Sian Cummins and myself - but with ten open mic slots already booked it should be a diverse and interestign evening. Get there for 7.30 to make sure you don't miss anything - fiction, poetry, who knows? Can we be our own Greatest influence? There comes a point when an artist can stop looking for new things, new places to go, but rather can go back to their own points of influence, their own career, and start exploring paths that they either abandoned too early, or which have a resonance. Neil Young, Eno, Bob Dylan and Lou Reed are all artists who - after apparently searching for new sounds for years and across albums at some point came to the conclusion that there could be honour in looking back; and that the looking back could be productive. Thus "Time out of Mind", "Ragged Glory", "Harvest Moon", "Small Craft on a Milk Sea" and "New York", like "Black Tie, White Noise" and "1. Outside" could be seen as - if not career highlights - at least positive additions to the personal canon. For less successful or iconic artists its no less the case. And I think it applies to writers as well as to musicans - and probably to artists and film makers as well. I'm not talking about retreads - "Godfather 3" etc. - so much as there comes a point in life, career, where the searching is different than it was before. Its not that you know everything, but that many of the touchstones that you have explored or want to explore have already been exploited by your art. Often, I think it is the coordinating of these touchstones that becomes the key thing. A good example would be one of my favourite writers, the late Bruce Chatwin. Before "In Patagonia" he had been a travel writer for a sunday paper, and worked at an auction house. Yet his nascent writings - a grand, large book about nomads - that he'd been writing during these years, failed to emerge. A reading of his letters (more often postcards) and biography gives us the genuine Chatwin - a voice that would be recognisably reproduced in the travel books "In Patagonia" and "The Songlines" but also in the fictions "Utz" and "On the Black Hill." The obsessions - travel, nomads, collections, history, home, outsiders, solitude, rootlessness - are there in the letters and postcards from the sixties and seventies; many of the places he visited - that intrigued him were to reappear in his fiction and his other writings - yet it was the synthesizing of these that mattered. Chatwin died too young, but left a near perfect selection. There was no final act for him. Where there isn't a great publication history, where writing has to be fitted in alongside the work, the home, the family, the children, illness, addiction, whatever, it can be the same thing. At times I've been struggling of late to understand what I want to write about, what is/are my "subjects" - partly because I have sometimes covered these, but also because currently I'm not in a state of mind where worldly concerns really explode into my fiction or poetry, rather I'm increasingly taken by the structural idea, the process of doing, even the granularity of words and language - these are metaphysical concepts rather than themes or subjects. Yet over the last few days I started something new, again, where I realised that I was pulling together various strands that go back to before I wrote my first novel, back to concepts I first explored when I was sixteen or seventeen, in unpublished books of scribbles - my equivalent of the "nomads" book is a story called "A novice in the land of fakirs" - a Burroughsian scrabble of words and ideas that never cohered into anything; yet remains there in my past thinking. Sometimes, its fine to look not at other writers, but to our troubled, troubling past and wonder whether we are not our greater influence. This time, late in the day, with maybe some of the tools to better achieve what we were reaching for first time out. Every year, the new you - and every year the new, new. Art doesn't come popping out of an egg, its gestation period can be much longer or a one night stand that comes to live nine months later. The media is eager to tell you about the new new. Each year again as if its an epoch. Fine and dandy, but so manufactured is this now, that I imagine if anything really new came out of it, then it would not even be on the radar. It takes time after all. The old new or new old is just as enticing - so good to see Manchester author Chris Killen, back with his sophomore novel "In Real Life" featured here in the Guardian. His debut came out in 2010, so an age ago in modern media terms, but in art terms, not so long. 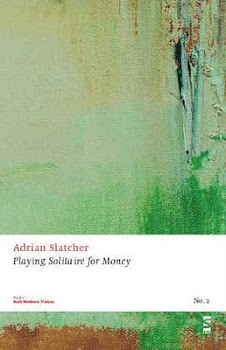 (My own poetry pamphlet, shorter than his debut novel, was published then as well, anyone interested in a follow up?). Another friend and Manchester-based author, Sarah Butler, will have her second novel out this year as well - yes, yes, we all know each other a little bit, its a small town! But the new, new continues unabated and the Observer's taken to running round the publishing houses asking which books they are hyping (sorry, which good new authors have works coming out) in the new year. Obviously they're looking for this year's "The Miniaturist", but of course, these books would have all been signed up long before Jessie Burton's bestseller had hit the shops. It's a long list, and there's some interesting books, even if there was something a tad depressing about reading the first five "best new authors" were respectively, an award-winning comedy writer, John Le Carre's granddaughter, a journalist, a literary agent and a "multi-talented musician/academic" - the slushpile this aint! Anyway, there will be good books on this list, and good writers who come out of it. So take your pick. Also in this week's Observer was an interview with a previous literary overnight sensation, Alex Garland, who has just directed his first film. There are few more zeitgeist-y writers than the author of "The Beach", but its interesting that after that first novel was filmed, how the collaborative nature of that genre appealed to him far more than being a career novelist. Not a unique trajectory its true, but fascinating nonetheless. Maybe it was going to see the Warhol show this week at Liverpool Tate, but it does seem on the one hand "everyone is an artist" but on the other, there are fewer writers that I really find myself interested in. It's not even the split between a mainstream and avant garde, or between commercial and literary fiction; it seems that we're in an age of over-abundant creativity on the one hand, and, on the other very little that stands out. For writers, its not just a hip subject or treatment, of course, but the writing itself, which was why "A Girl is a half formed thing" or "A Visit from the Goon Squad" have been standout books from the last few years. I've had a chance to catch up with a few things online this week - a fascinating article on a new "portable" David Foster Wallace - I've always liked "collected" or "selected" editions and wish more contemporary authors were available in such a pick 'n' mix fashion, so I might get hold of it even though I've most of the stuff already. Though at nearly a thousand pages, its quite a hefty introduction - perhaps its meant to be the other bookend to "Infinite Jest"! Of equal interest, given world enough and time, I'd like to read this new biography of James Laughlin, the rich founder of avant garde publishers "New Directions." Here we have the publisher as auteur, not only creating a list that chimed with his own tastes, but developing a market for those tastes that created, to a large extent, an alternative canon. There's not a single press that you might go to these days for a similar nurturing role (and New Directions published short stories and poetry as well as longer works, which seems to me essential if you're going to take the literary pulse of the times), though Melville House, Copper Canyon and others are doing a fine job. The old joke about "how to make a small fortune in publishing - start with a large fortune" may mean that the rich gentleman publisher is a thing of the past; but the publishing industry keeps on going - and has even, by some accounts - seen off the e-book. Tomorrow night, the first prize giving of the year takes place, with the solid T.S. Eliot's taking place in London. Eliot died 50 years ago this year and there's a new biography coming out to celebrate this - which again was extracted in the Guardian this weekend. "Once a subversive outsider, he became the most celebrated poet of the 20th century – a world poet, who changed the way we think", as the Guardian's sub-editor has it. There's not much subversion in the T.S. Eliot prize, unfortunately, which takes the venerable British Anglican poet, rather than the young American firebrand as its model - but that's British letters for you, a somewhat different mix of art and commerce than elsewhere in the world. Locally, things should start up again in the next week or so - but as I'm not heading to any literary events this week I'll leave a round-up till the next time. The new new will be somewhat old hat by then, all being well. Its been a while since I've seen a single-artist show at Tate Liverpool, and the current "Transmitting Warhol" show makes clear that we should see more in the North. I've grown up with Warhol, he's been there as an iconic image maker all my life, and some of his most famous pictures, the Marilyn Monroes, the Campbell's Soup Cans, Mao, Double Elvis I've probably seen half a dozen times. So prolific was he, and so often did he create multiples, that his work is amongst the easiest of great 20th century artists to see. Yet that very ubiquity - and the media images of Warhol himself: in the sixties in the Factory, or later in life with his Simpsons style cartoon white hair - can obscure both art and artist. For Warhol began as a commercial illustrator and this exhibition includes works from early in his career right through to his death. There's rarely been an artist who has been so easily able to combine the commercial and the aesthetic. When, say, Damian Hirst, dabbles in album cover art for the Red Hot Chilli Peppers, it doesn't feel a critical part of his work, just a paid job. With Warhol the two things are intermingled. Pop art = pop culture. I'd forgotten as well about his involvement with Interview magazine, an iconic monthly magazine that acts as a strange tableau of the briefly famous. For fame as much as popular culture was Warhol's currency. It seems there are three types of "icon" in Warhol's work - the truly iconic such as Marilyn Monroe or Elvis; the made famous - his Factory superstars such as Edie Sedgewick; and the "famous for 15 minutes" icons of contemporary pop culture. What is interesting is how his treatment of these differs. For he never painted Marilyn or Elvis - rather he took a single image, and reworked it endlessly. On the other hand his Factory superstars (and the one thing missing from the exhibition were his screen tests - but you can find these on Youtube) were famous for nothing other than how they looked, icons only in Warhol's universe, always subjugated to his fame. The temporary fame of contemporary culture is almost an acting out of Warhol's predictions - and with Interview magazine, his films, and commercial work where iconic record covers like the "Velvet Underground and Nico" are joined by much less interesting ones by Debbie Harry, Diana Ross, Aretha Franklin and Billy Squier, he becomes almost a secondary documenter of this culture. In this sense Warhol's long prolific career finds its main moorings in the 1960s. In many ways he seems to exemplify so much of the visual culture of that decade - or at least that aspect that has lasted beyond pastiche. A room at the exhibition is held over for a recreation of the "Exploding Plastic Inevitable" with films projected onto four walls and a soundtrack of Velvet Underground live takes, particularly "Sister Ray" playing over the top. This, I realise, is my world - somehow Warhol's American Pop Art was a democratisation of glamous as well as soup cans and Brillo boxes, that "let in" suburban British kids such as myself. That crossover with pop music seems crucial particularly since Warhol only seemed to have the most transient interest in it. The Velvet Underground may seem the perfect "art rock" band for him, but they also seem an oddity - for they were out of step with the music of the time, and moreover, their currency was a rawness which seems at odds with the sophistication of advertising culture and the rest of Pop Art. This eclecticism reminds me that Warhol was a very successful outsider. I can't, for instance, imagine Hirst or Emin having the psychological distance required to be relevant to be both a fawning art world and an avant garde. Besides, there's something about Warhol's collaboration which seems uniquely open - he seemed to have a genius to create value by association, without corrupting what it was that was valuable. So that first Velvet Underground album is unproduced despite being "produced" by him, the one lasting contribution to the band being his hooking them up with Nico (an odd absence from the exhibition). Similarly we see Warhol's films, his screen prints, his multiples, and they are allowed to breathe - he is almost a curator gathering them together. The film with Edie conversing with her own image on video tape seems remarkably untouched, or untouchable. She is the "superstar" and Warhol is there as the artist offstage. That he was his own "character" - the white haired "Drella" always taking photographs, always bringing the late 20th century into his artistic spaces rather than going out and finding it - seems equally as vital. Its not a comprehensive show, but by concentrating on the idea of Warhol's use of materials, his range, and his different techniques I found "Transmitting Warhol" a riveting and fascinating show that reconnected me with the artist above and beyond the iconic images which sometimes seem to define the "Warholian" approach. He was the only pop artist who remained immersed in pop culture - in itself remarkable in the New York of the early 1960s, coming from an artistic avant garde where folk or jazz would have been the more likely art forms. His use of film seems increasingly important and separate somehow from the idea of cinema - and perhaps its that documenting of a space and time, now half a century ago, that creates an ongoing ripple effect for the viewer. The show is on for another month and its well worth a visit.